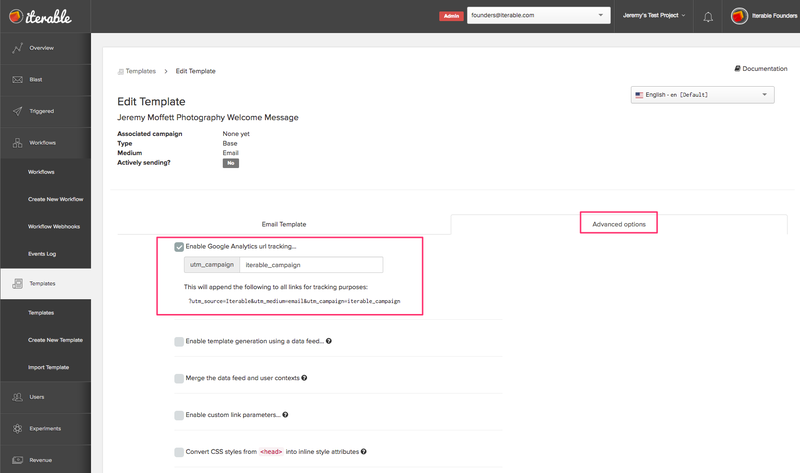 Iterable integrates with Google Analytics to enable customers to track website traffic originating from Iterable messaging campaigns. This integration requires an Iterable account and a Google Analytics account, and you must have already set up a Google Analytics tracking code on your website. If you’re not already an Iterable client, request a demo to discuss how the Iterable and Google Analytics integration can work for you. The parameter utm_campaign can be renamed to your choosing or merge parameters can be used. The other two parameters, utm_source and utm_medium, will remain consistent in all links provided in your email messages. 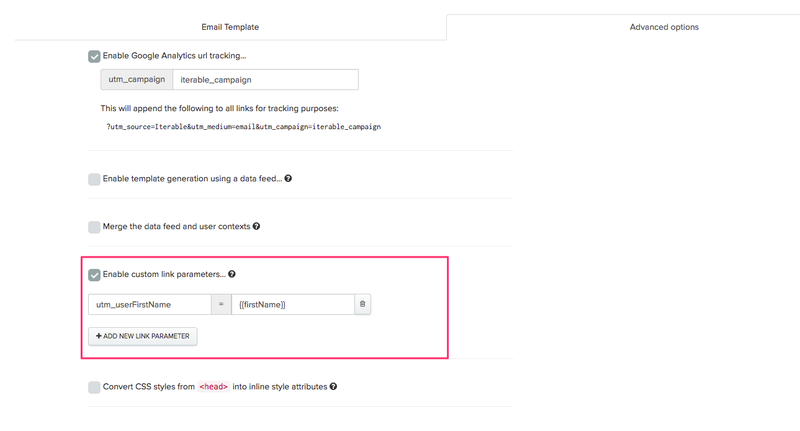 In addition, you can use Iterable's Enable custom link parameters option to add additional utm parameters or other customer parameters. Merge parameters will work here if desired. You're now all set to have links that lead to your website domain that will provide Google Analytics the necessary info to analyze and report on your users' actions and behavior.